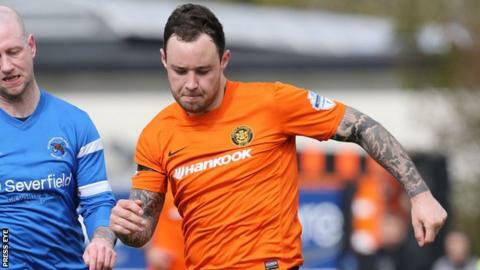 Carrick Rangers centre-half Andrew Doyle has agreed a move to Irish Cup winners Glenavon on a one-year deal. Lurgan Blues manager Gary Hamilton has signed the defender to replace Conor Dillon, who is not available next season following his move to Australia. "Andrew has many of the attributes that, in my opinion, made Conor one of the best centre halves in the league last season," said Hamilton. "If he shows the right attitude it will see him learn and improve," he added. "Andrew has spent most of his career playing in the Championship but, as we have seen with Joel Cooper and Andy Hall, if the player has the right attitude and commitment, then he will become a success at Glenavon."